The Blue Heron Orchard Collective is based on a working certified organic apple and vegetable farm located between Canton and LaGrange, Missouri on a Mississippi River bluff. The farm has been in operation since 1990 and was the first certified organic apple orchard in the state of Missouri. The collective currently consists of environmental artist, Cherie Sampson and her husband Dan Kelly, the founder and proprietor of Blue Heron Orchard. Dan has been a steward of the 26- acre property in which the farm and orchard is set since he began homesteading in the 1980’s. Cherie and Dan met in 2003 while Cherie was living and teaching in Iowa, bringing two very different life paths together. The other two members of the collective so far are our dedicated part-time employee, Nellie Robertson and Illinois-based glass-artist, Jim Topic. Over the years, Blue Heron Orchard has hosted a variety of events such as field days, university and public school visits and educational programs, internships, fund-raisers, performances, seasonal festivities and many parties in which we feed our friends with food right out of the ground and off the trees. We are a newly formed AgArts Collective with a vision to expand our farm–hosted events and to establish a new series of farm-to-table and community-based “progressive dinners” in which arts, culture and ethnic flavors (sensorially and metaphorically) will be featured! Longer-term goals of the collective are to create a three-pronged public & community outreach integrating art, agriculture and education. We also hope to one day establish a one to two week summer artist-residency program on the farm. “Hands to Earth” to premiere August 5, 2017. 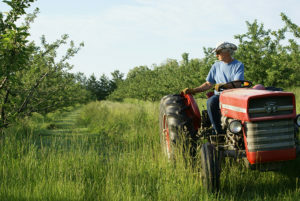 In American environmentalist Wendell Berry’s book, The Unsettling of America, he quotes: “Find the shortest, simplest way between the earth, the hands and the mouth.” The small-scale farmer engages direct physical contact with the land – seed, soil and plants – with the hands being integral to the labor as well as the fundamental link between “earth” and “mouth” in an ecologically healthy system. This new work will utilize the language of classical Indian dance to illustrate laboring bodies involved in the small-scale agricultural spectrum from planting of the seed to the harvest. “Abhinaya” or the expressive vocabulary of the dance, integrates intricate facial and hand gestures with rhythmic footwork. In our experimentation with the form, symbiotic relationships between humans, physical work and the land will be the physical movement that inspires the piece. 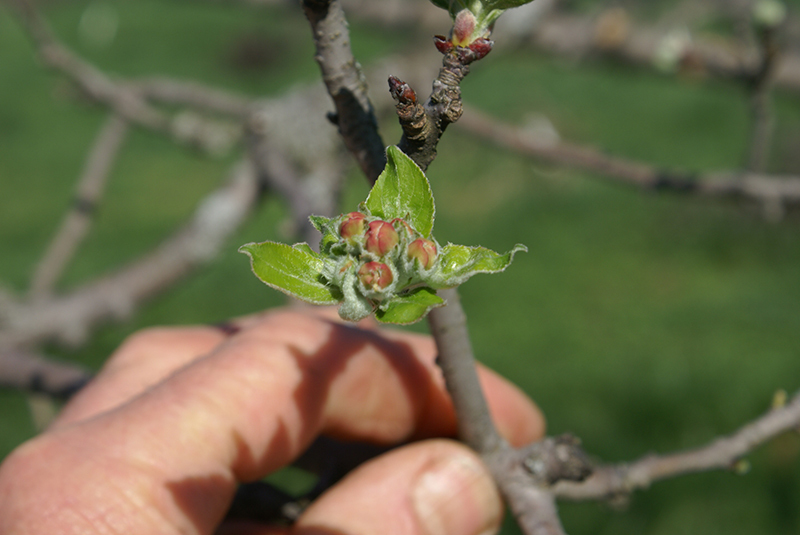 Observation of the activities and labor on small farms in several Midwestern states during site visits will be documented through video-audio recordings, interviews, etc., capturing different phases of the agricultural season. 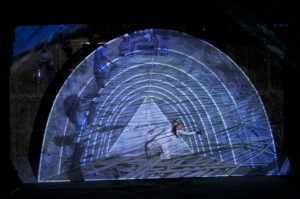 The collected material will be interpreted through dance and the performance will incorporate video and audio material collected during the farm visits as an interactive component. 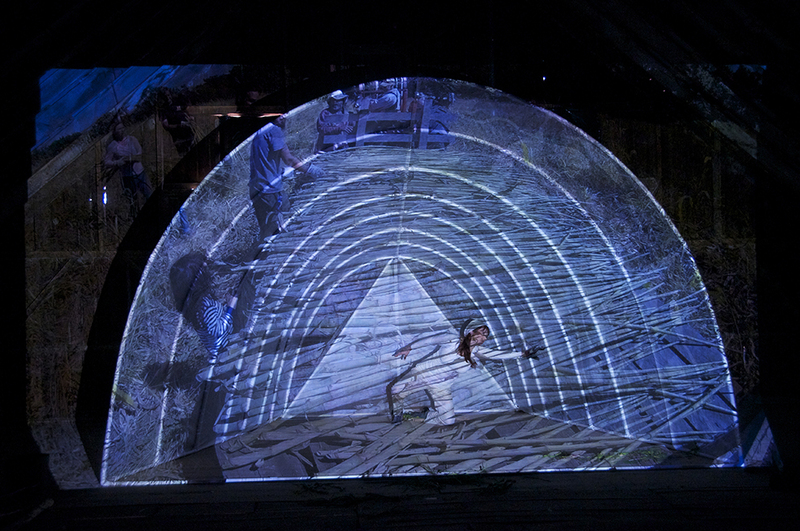 This will be a collaborative work with Kansas City-based dancer & choreographer, Anjali Tata-Hudson. AgArts Media Director, Cherie Sampson, received her MFA in Intermedia & Video Art from the University of Iowa in 1997 with a minor in Sculpture. 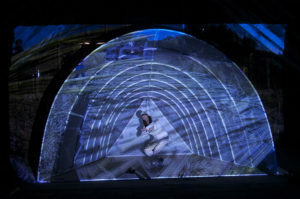 She has been a working environmental and performance artist for over 25 years, is a two-time Fulbright grantee and has exhibited and performed internationally in the U.S., Finland, Norway, France, Spain, Cuba, the Netherlands, Hong Kong, South Korea and other countries. She divides her time between Blue Heron Orchard and the farm that she calls home and the University of Missouri where she is an Associate Professor of Art. She is a bureau member of Artists-in-Nature International Network (AiNIN) and at the same time is being called to create culture and art-happenings in her own back yard. Dan Kelly has owned and operated Blue Heron Orchard since 1990 when the apple trees first went into the ground. In addition to the fresh apples and a variety of organic vegetables, Blue Heron Orchard processes many value-added products including apple cider, butter, sauce, syrup, apple-wood smoked fire roasted peppers and fruit leather. Dan received a USDA VAP (value-added product) grant in 2015 to expand the operation. He is the current president of the Midwest Organic Fruit Grower’s Association. Nellie Robertson, born and raised in Hungary, has been regularly employed at our farm since August 2013 and is involved with many aspects of orchard and farm work as well as production of our value-added products. She is a translator and co-directs the Cognitive Achievement Center’s local facility in Canton, Missouri with her husband, Scott. Jim Topic is a long-time friend and glass-artist with a studio and retail shop just up the river in Nauvoo, Illinois. He was raised on a farm in Minnesota, continues to grow many vegetables there and in his present home in Nauvoo. Jim has contributed countless hours of work in our orchard, gardens, production kitchen and at the cider press!